The Chaplet of the Holy Face of Jesus is a favourite of Cardinal Burke’s, especially in times of intense spiritual warfare, which we all understand we face at this moment in time. 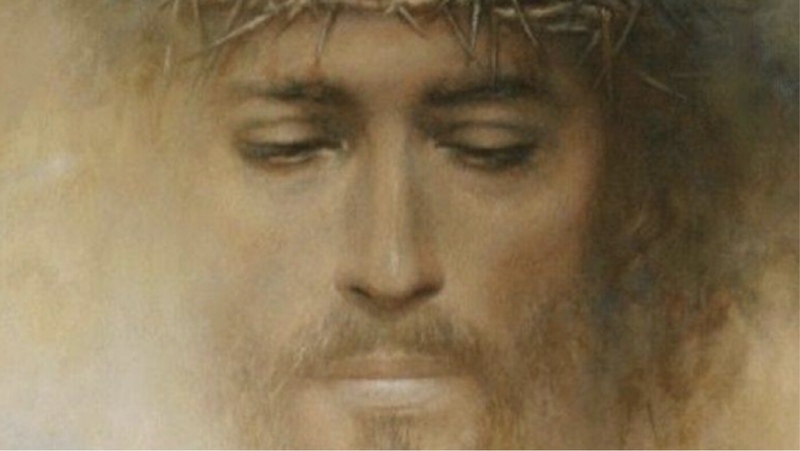 The Chaplet of the Holy Face is to honour the 5 Wounds of Our Lord Jesus Christ and to ask of God for his Triumph of His Holy Church and the downfall of Her enemies. Saint Athanasius relates that the devils on being asked what verse in the Scriptures they feared the most, replied: “That with which the 67th Psalm commences: Let God arise, and let His Enemies be scattered and let them that hate Him flee from before His face!” They added that this verse always compelled them to take flight. As revealed to Sister Mary of St. Peter, the Chaplet has for its object the honouring of the Five Senses of our Lord Jesus Christ and of entreating God for the triumph of His Church. The Chaplet is composed of a Crucifix, 39 beads – 6 of which are large and 33 of which are small. The 33 small beads represent the 33 years of the mortal life of Our Lord. The first 30 recall to mind the 30 years of His private life and are divided into 5 Decades of 6, with the intention of honouring the Five Senses, Touch, Hearing, Sight, Smell and Taste of Jesus, which have their seat principally in His Holy Face, rendering homage to all the sufferings Our Lord endured in His Face through each one of these Senses. A large bead to honour each of the Senses precedes each of these 5 decades of 6 beads. The 3 small beads recall the public life of the Saviour and honour the Wounds of His Adorable Face; the large bead preceding them has the same purpose. A medal of the Holy Face completes the Chaplet. To pray this chaplet, start by making the Sign of the Cross with the Crucifix and recite this invocation: “O God, incline unto my aid. O Lord, make haste to help me,” followed by the Glory Be. Deus, in adjutorium meum intende: Domine, ad adjuvandum me festina. At the end of meditating on the senses of Jesus, continue repetitions of “Arise, O Lord” prayer on the remaining three beads, to bring the total to 33, one for each year of Our Lord’s earthly life. On each of these last three beads, think about the Wounds in His Holy Face from the slaps He endured and from the Crown of Thorns. Some additional prayers that are recommended to be said on the five beads afterward from the revelations of Sister Mary of St. Peter in the Golden Arrow book): May God arise and let His enemies be scattered and let those who hate Him flee before His Face! 1) May the thrice Holy Name of God overthrow all their plans! 2) May the Holy Name of the Living God split them up by disagreements! 3) May the terrible Name of the God of Eternity stamp out all their godlessness! 4) Lord, I do not desire the death of the sinner, but that he be converted and live. May the most Holy, most Sacred, most Adorable, Most Incomprehensible and Ineffable Name of God Be always Praised, Blessed, Loved, Adored and Glorified, In Heaven, on Earth and under the Earth, By all the Creatures of God, And by the Sacred Heart of Our Lord Jesus Christ, In the most Holy Sacrament of the Altar. Amen.